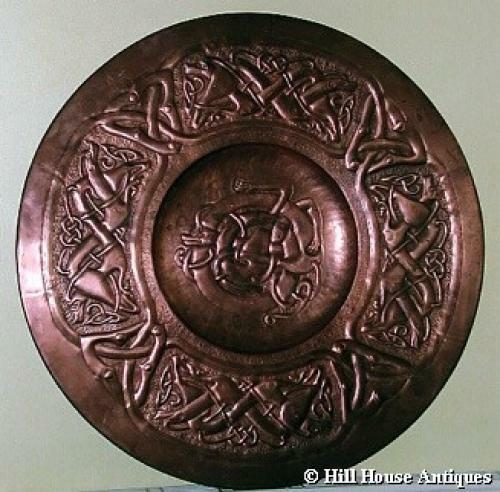 A superb and large (27" diameter) arts & crafts copper charger with good strong Celtic entrelac and zoomorphic motifs to centre and all along border. By Alexander Ritchie of Iona c1900s. Illustrated in "Iona Celtic Art" by E Mairi Macarthur page 32.